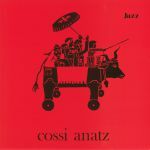 Review: French label Diggers Digest are proud to announce the release of Cossi Anatz. Following up editions in their deep jazz reissue series such as Koute Jazz, Protest & Spirit Jazz from France (1970-1976) and Freedom Jazz France. This long awaited release is an overlooked French jazz album, mixing the North African, Arabic and Occitan music with free jazz/spiritual vibes - this is a real singular sound. Composed and partly recorded live by Michel Marre (L'Intercommunal Free Dance Orchestra) with former Marius Cultier band member Rene Nan on drums. As it says on the cover, this is 'Jazz Afro-occitan' and nothing describes it better. An offIcial reissue here, strictly limited to 500 copies.